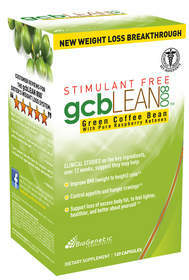 GOLDEN, CO--(Marketwire - Nov 1, 2012) - iSatori, Inc. (OTCQB: IFIT) ("the Company") today announced the pending launch of its newest weight-loss supplement, gcbLEAN800™ Green Coffee Bean with Raspberry Ketones. The Company's Biogenetic Laboratories division has created this new weight-loss supplement, which combines two clinically tested ingredients at their scientifically validated dosages. gcbLEAN 800™ will be available in GNC stores nationwide in December. GNC, the world's largest specialty supplement retailer, has over 6,000 stores in the U.S. and locations in 49 other countries. "We all know that losing weight can be difficult," noted Stephen Adele, Founder and Chief Executive Officer of iSatori, Inc. (www.isatori.com), the parent company of Biogenetic Laboratories. "In the past, dieting, extreme exercise, and intense willpower all seemed necessary to enjoy the desired results. Now, however, nutritional experts are recommending new ingredients, such as green coffee bean extract and raspberry ketones, as an emerging breed of diet supplements that help people lose weight without the need to radically alter their lifestyles." "While smart eating and exercise will always remain an important part of a healthy lifestyle, I have been impressed with the clinical studies showing improved weight loss over diet and exercise alone with green coffee bean and raspberry ketones. That is why we sought out the highest quality ingredients, at the scientifically validated amounts, to create gcbLEAN800, which will be released through selected retailers, including GNC, next month. We anticipate strong consumer demand for this new product." The most recent clinical studies on green coffee bean followed a group of 16 adults who supplemented with green coffee bean for only 12 weeks. Over the course of the study, the subjects lost an average of 17 pounds each, or approximately 10.5% of their overall body weight, and 16% of their average overall body fat. No side effects were reported. According to the Nutrition Business Journal (New Hope Media, SNWL 2012), pill-form weight loss products currently represent a $1.57 billion market that is growing at a 5% annual rate, with retailer GNC taking the initiative to become America's trusted "diet headquarters" for specialty supplement products. "We are excited to partner with the nation's largest specialty supplement retailer, GNC, to launch our new weight-loss product, gcbLEAN800," commented Jim Cucolo, Vice President of National Sales for iSatori, Inc. "GNC is a terrific partner for us and provides our customers with exceptional customer service and great value." Consumers should be aware that gcbLEAN800 is in short supply (due to the limited availability of ingredients) and is expected to be met with high demand. Although it should be available on GNC stores' shelves sometime in December, just to be safe, iSatori is asking consumers to call stores first, before visiting them, because they expect gcbLEAN800 to sell out quickly. Alternatively, consumers are being directed to GNC's website at http://www.GNC.com, where they can secure a supply of gcbLEAN800. Additional information on gcbLEAN800 is available at GNC stores or on the Internet at http://www.facebook.com/BiogeneticLabs. Retailers interested in carrying gcbLEAN800 should contact Europa Sports, America's largest sports nutrition distributor, at 1-800-447-4795, or visit http://www.Europa.com.